Spectacular service! Khamisse Yusri nd Mahmoud were outstanding.A first class experience with great diving sites offering a variety of marine life and corals! We have seen it all. 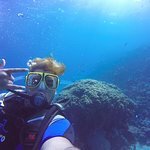 Oberoi service, Oberoi quality, Oberoi dive centre! 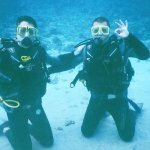 We did 11 dives with Dive Pro Academy and are very happy with our experience! The reef at the Oberoi has rich coral and diverse marine life. We saw many rays, a sea horse, a green turtle and countless varieties of fish. All of our dives were led by Sharaf (sorry, not sure if the spelling is right), an experienced dive instructor who has an incredible eye for spotting marine life that we would have never otherwise noticed ourselves. One of us also did a two dive boat tour with them. Its hard to call this a dive boat, it feels like a yacht! It has two decks with a comfortable salon inside and a spacious wood-floored sun-deck upstairs. Best of all was that the rest of the staff made the experience very relaxing by helping carry equipment, putting on weight belts and gear and ensuring an easy entry and exit from the water. The equipment was of good quality and felt safe. We can't wait to dive with you again! What a great Dive Centre! We’ve dived all around the world and Dive Pro Academy is up there with the best of the best! 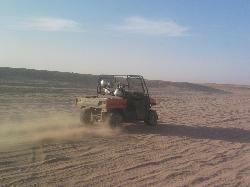 Khamis, Ahmed, Sayed and the team are first rate. Such a friendly team, incredibly professional and nothing was too much trouble throughout our stay. We are experienced divers (2000+ dives) and the team helped us enjoy some amazing dives during our 2 week holiday. 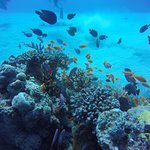 The house reef is full of surprises, with many varied dives and spectacular coral and fish life. The boat dives were also incredible. The boat is very comfortable and it is nice to dive in a small group. Khamis would tailor the day to suit our requests, which was very unique. 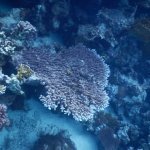 He is also very ‘protective’ of the house reef, ensuring that it retains its natural beauty and is not damaged. While the house reef can accommodate divers of every level, we loved that he only lets experienced divers venture to certain parts of the reef - we felt very privileged to be among them. It felt very exclusive - we never had dive boats dumping divers on the house reef. 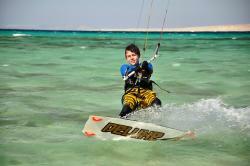 The Divemasters and Instructors (Mahmoud, Mohammed and Sharaf) were all knowledgeable and friendly. Our son did his Advanced Open Water and Nitrox course during our holiday, which he thoroughly enjoyed. Khamis also helped him develop a new love for underwater photography. Sharaf is definitely the Sea Horse expert - he finds them every dive! Finally, the team will make your diving effortless! We are ‘odd’ & English so like to put our own kit together, but you honestly don’t need to lift a finger if you are less ‘odd’ than us. The team will even put your fins on for you! We stayed at the Oberoi Sahl Hasheesh hotel for a few days to finish our PADI-certification open water dives. We didn't even know there was a house-reef :-) The Dive Pro Academy is located literarly next to the pool and Khamees was a perfect host for us. Our dive instructors Mahmoud and Sharaf were top notch in guiding us through the tests and through the beautiful coral reefs. 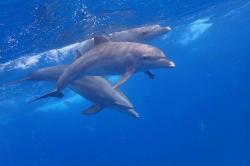 We even had playfull dolphins around us during the second dive. We would definitely recommend these guys when looking for a diving location and instructor!! 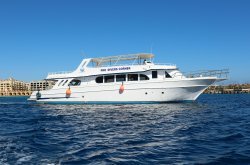 We will return this year to go on boat-trips to explore more of the island reefs in the Red Sea and we will not hesitate for one second to hire the experts from Dive Pro!! 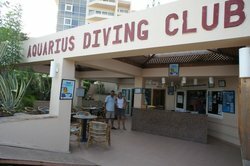 We had our first diving lesson ever here. Though they opened later than expected (we reserved few months in advance) the experience was fantastic. The monitors were friendly and took great care of our safety, comfort and enjoyment. 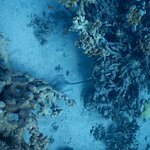 The corals and fishes were abundant even if we dive near the hotel deck. 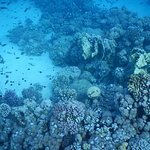 Red sea is fantastic in this way. We even saw blue dotted ray. The corals and fishes were colorful in a lot of variety. The even transfer us pictures they took during our diving. A really good experience. 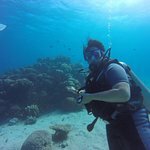 Upgraded my Open Water to and Advanced Open Water certificate, had the best dives of my life! Also the The Oberoi Sahl Hasheesh has one of the best house reefs out there. we would love to thank you very much for you lovely review and for diving with us.